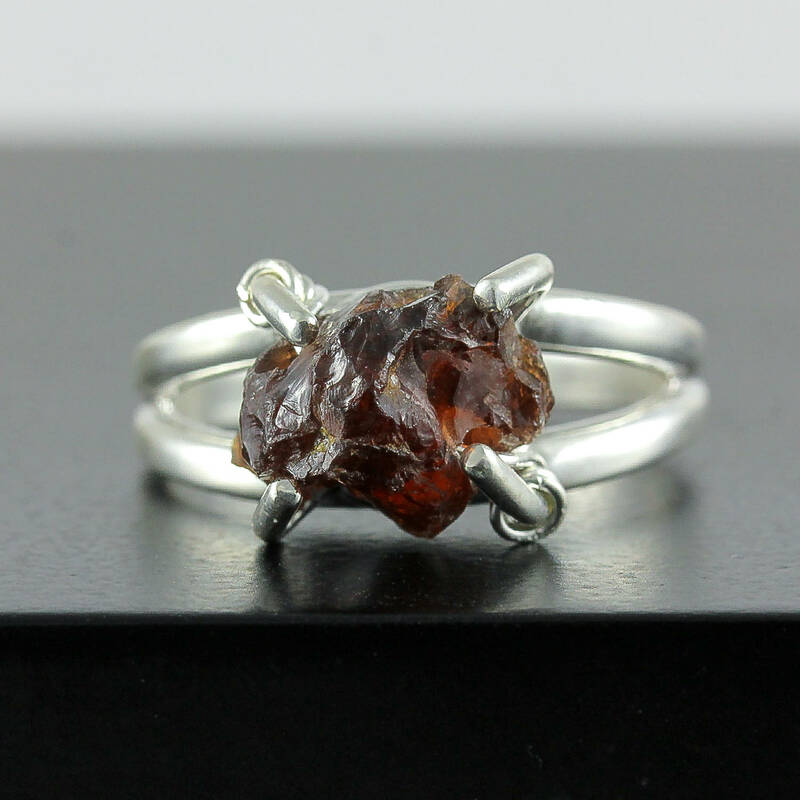 This Sterling Silver ring includes a stunning, irregularly shaped rough garnet with deep red color. 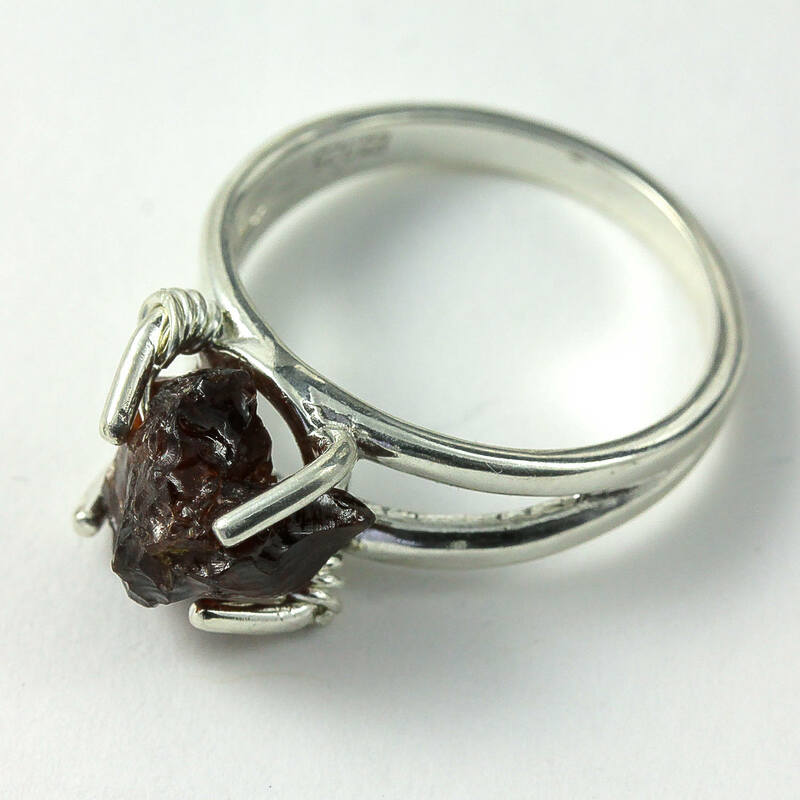 The stone is delicately set inside the ring mounting, and is additionally wire-wrapped with Sterling Silver wire. 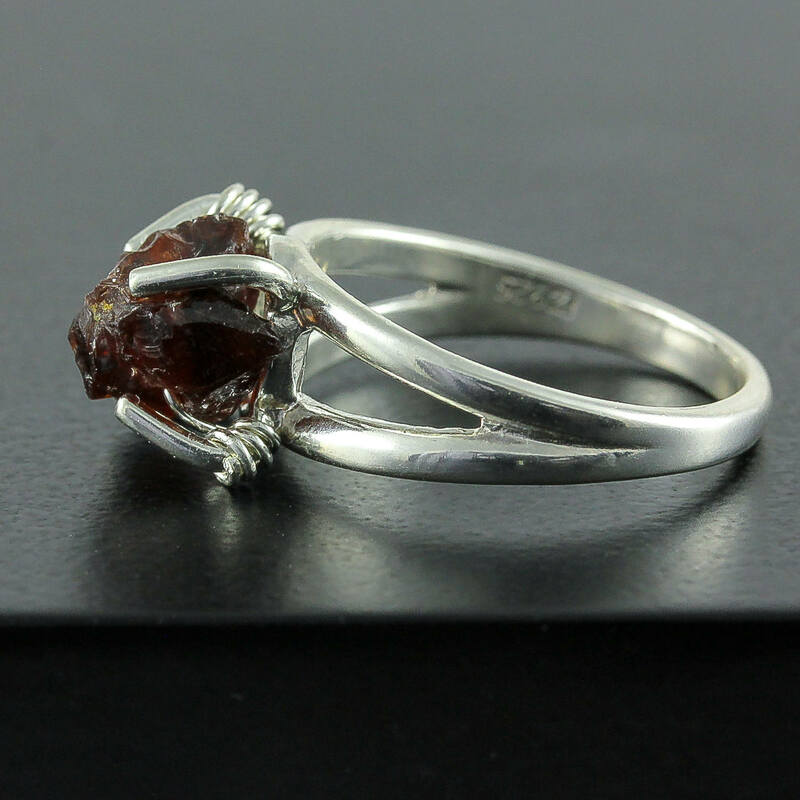 The garnet stone measures approximately 6x9 mm, and its natural color variation and shape make this gorgeous ring one-of-a-kind ring. The pictures are of a ring that has been already sold. 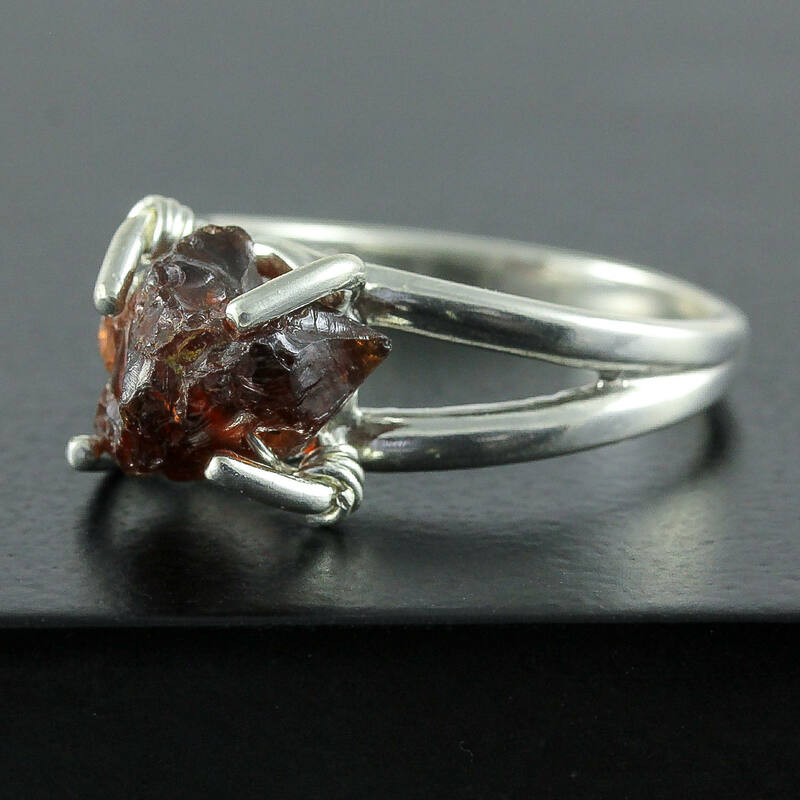 Since the stone is natural, it will slightly vary in size, shape and color set on a given ring. 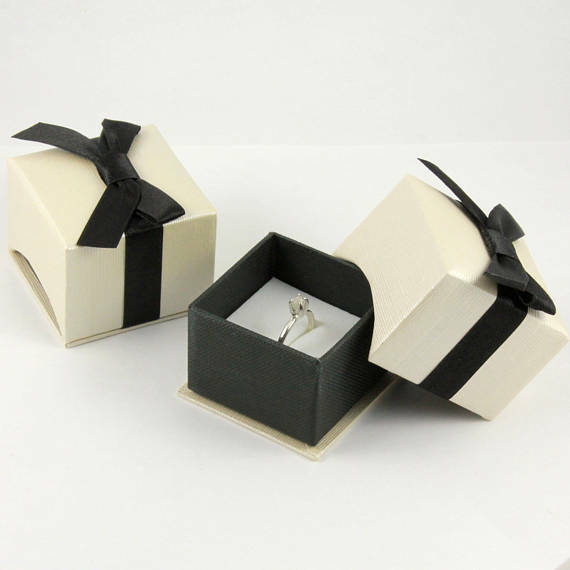 The ring comes in a nice gift box tied with a lovely ribbon as featured in the picture #5. It is ready for gift giving!